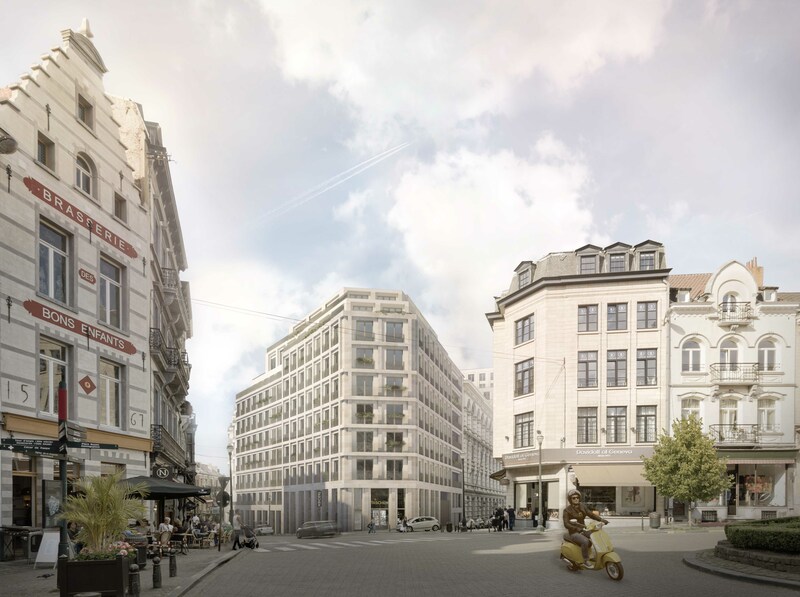 The Lebeau Sablon is a new mixed-use development for Belgium developer IMMOBEL, which seeks to regenerate the key historical district of Le Sablon in the city. The winning practices have collaborated to redevelop a scheme that will provide 41,500 sqm of housing, retail and offices. 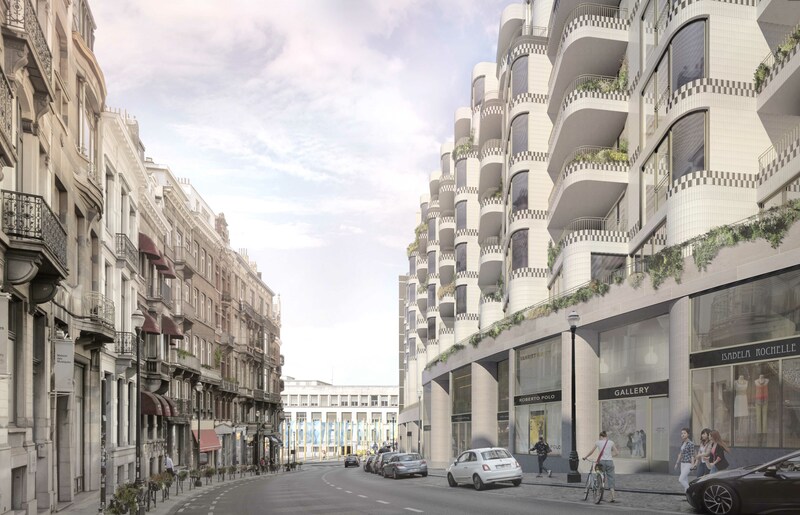 The design approach was to introduce five new city blocks which all sit comfortably within their urban fabric and bring architectural variety to embrace the character of the Lebeau Sablon neighbourhood. Buildings are all visible from the public realm and unified with an inner court. 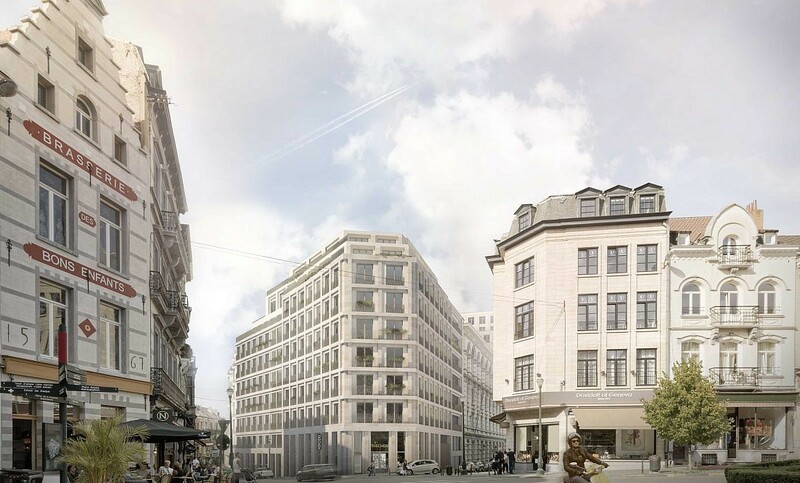 The Lebeau – Sablon project is situated on Place du Grand Sablon, one of the most exclusive districts in Brussels. Close to the Royal Library and only a 5-minute walk from the city centre, the surroundings of the site offer a unique mix of heritage and high-density. Next to new programs and architecture, the historical Paille building on site must be transformed into an office building conserving most of the historical elements of the building. 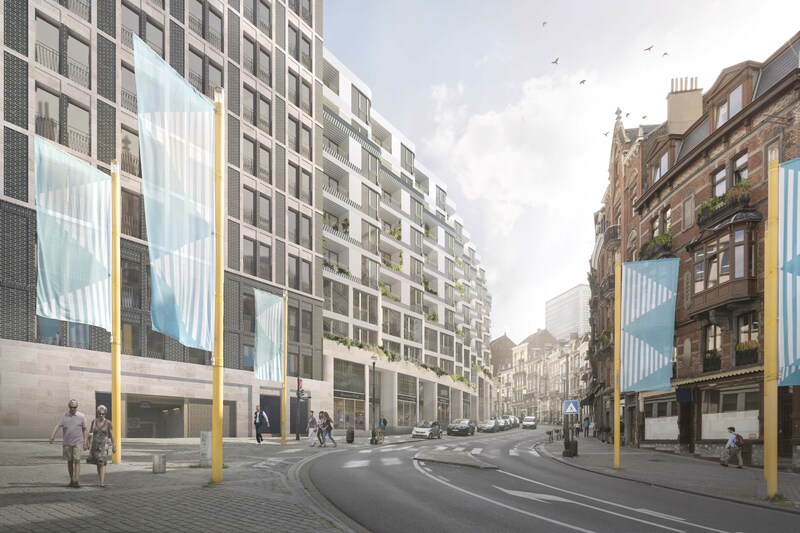 In the coming period, MLA+ and Korteknie Stuhlmacher will further design and develop the block between Rue Lebeau, Rue de la Paille and Rue de Ruysbroeck into a 41,500 sqm mix-used project with housing, offices and retail.